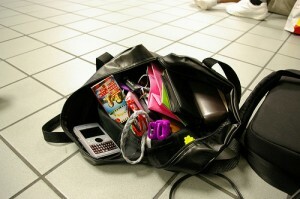 A full and jumbled purse is as much of a problem as jumbled content. This morning I was trying to cram more stuff into my purse like puzzle pieces so it would all fit. Needless to say, as the day wore on and items kept falling out, I realized what a mistake I had made. I was the mastermind behind the aggravation I dealt with all day. Writing is like that, too. You can’t cram too much into a paragraph or paper or else it becomes more aggravation than communication. When too many ideas are jumbled together and are not explained fully or connected to each other, it’s confusing. When you send a customer a message that is confusing, it becomes an aggravation and you know what happens then. What do you think will happen when they receive the next message from you? Stick to one idea with no more than a few supporting ideas or explanations and your readers will stick around to finish reading, understand the message you’re trying to convey and maybe even communicate back to you.